The success of our business is built on the skills, knowledge and personalities of our people. Strategic recruitment, internal training and innovative staff development have meant that our talented people are best-placed to support our international customer base. We proactively look for people with the passion, drive and dynamism to deliver the very best service to our customers, along with the creativity to continue our reputation as world leaders in our market. Our core company values are deeply embedded in our hiring process and we use these values to help choose the right person for the job, ensuring a perfect fit for our business. 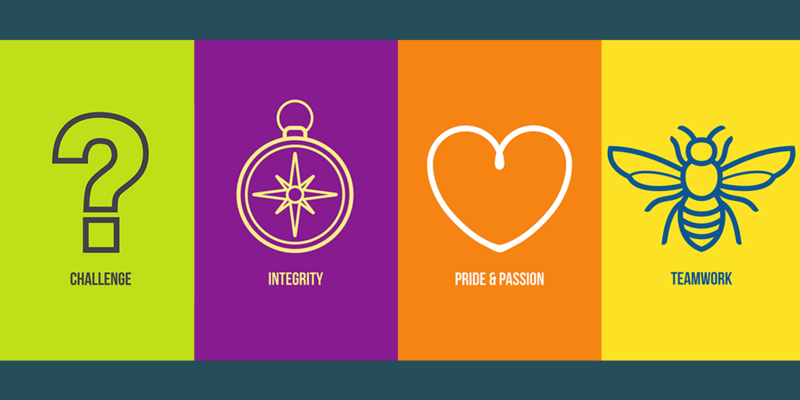 These values are the cornerstones of our organisation - they were created and are firmly owned by our team of over 370 employees across four continents. We’re committed to excellence at every turn, we work at and champion the highest possible standards across the business. Working in partnership is how we best serve our customers, exceeding their expectations and meeting their needs - no matter how ambitious. We strive for progress across the business and always work to find a better way to improve our service. Customers choose to partner with us time and time again because our people love what they do and are driven by the desire to delight everyone we work with. Creativity and innovation are integral parts of our business strategy and finding people who aren’t afraid to challenge what we do and how we do it, is very important to us. We’re always looking for better ways to do things and the novel ideas and new processes generated by our staff keep us pushing towards our continued improvement. If you think you’ve got what it takes to join the Treatt team and develop your skills in an environment that will encourage you to be exceptional rather than acceptable, then please get in contact with a member of the HR team at HR@treatt.com.